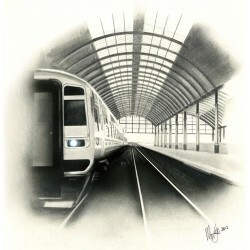 Railway prints by the artist Keith Apperley. Preserved Great Western class 42xx, 2-8-0 goods loco, as seen on the Bodmin and Wenford Railway in 2..
Class 158 DMU arriving at Hull Paragon terminus, 2011. 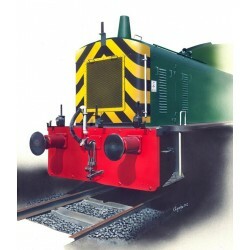 Signed print Paper size: A3 (300mm ..
Class 03 diesel shunter as seen at Moreton-on-Lugg industrial estate sidings in 2012. Signed pr.. 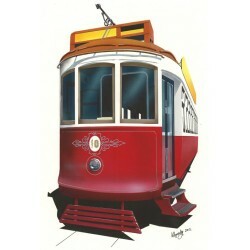 Original electric tram of the Lisbon Transport Authority in Portugal. 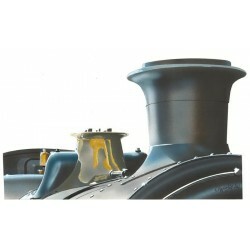 Many of these vehicles are sti..
Great Western Railway class 4300 loco No. 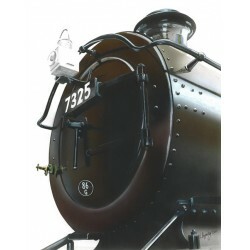 7325 - Preserved on the Severn Valley Railway. 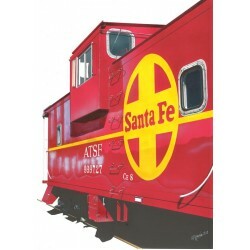 Signed..
Santa Fe caboose preserved on the Grand Canyon Railway, USA, as seen in 2012 at Williams, Arizona. S..